Order your Cultivate London Christmas Wreath today! Order your Cultivate London Christmas Wreath today! £17.50 for 14" diameter. All proceeds go towards Cultivate London’s Youth Training Program. 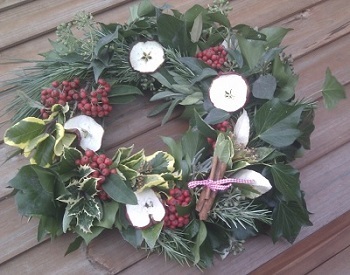 Join in a festive evening full of mince pies and merriment, and learn how to make your very own natural wreath! When: 13th Dec 6pm—8pm OR 8pm—10pm. £20 All materials included & light refreshments provided.